Saptrangi is a tropical plant which grows wild in a wide range of habitats in central and southern parts of India. 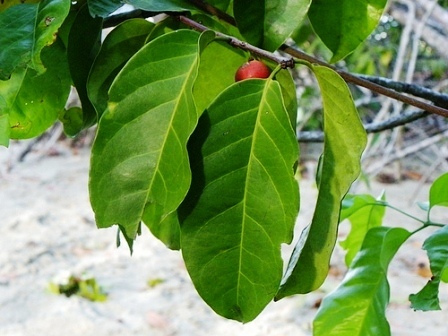 It is mostly found growing along seashore and river banks as well as in forests at altitudes upto 750 m. Though it bears edible fruits, but still the plant is known more for its medicinal uses. Its trees are planted only as specimen trees in herbal gardens. There are also reports of saptrangi plants in Australia. 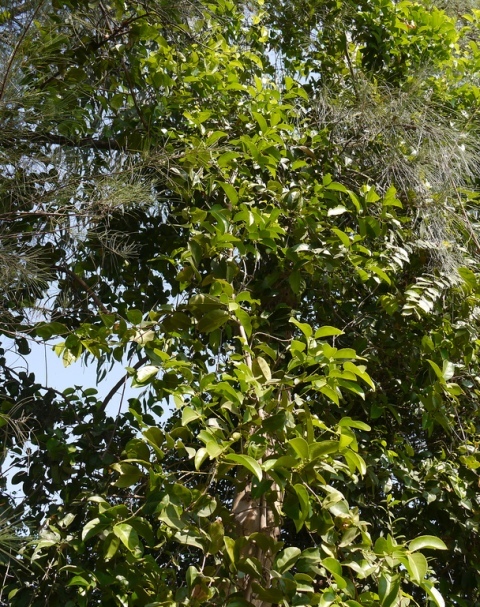 A small erect straggling tree or large, woody, climbing shrub; twigs ribbed from decurrent bases of the deciduous stipules. Leaves thinly coriaceous, 4-6 cm x 2.5-3 cm, ovate or lanceolate, glabrous. 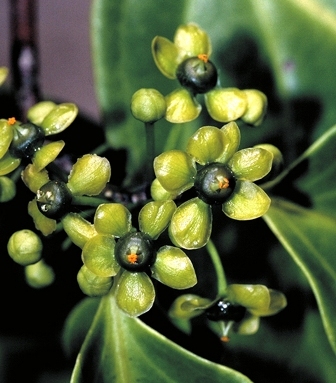 Flowers 2-6, clustered together on axillary tubercles, yellowish. 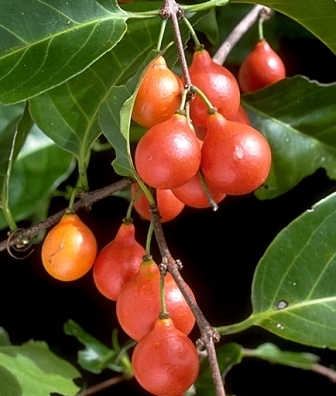 Fruits small, sub globose, 1-2 cm in diameter, fleshy, red when ripe, minutely apiculate, 1 celled. Roots are used as ant diabetic drug in the indigenous system of medicine. These are astringent and abortifacient. Decoction of root is taken as cure for amennorrhoea, dysmenorrhoea and venereal diseases. The stem and root contain the rubber like substance gutta. Saptrangi is found only in wild but for some plants which have been planted as specimen trees in botanical and herbal gardens.